How do I modulate Infinite Unified Consciousness? The rainbow and white light is my favorite example of this. Each point of view is a color in the rainbow and it takes all the colors, equally expressed and organized by wavelength (frequency) to create the white light of truth. Zero Point Energy is all that is and all possibilities are truths (manifested realities) depending on the distortion to stasis ration (like a color in a rainbow). The key is learning how to access pure zero point in a world where we have imposed limitations as hypnotic veils which enable us to be in a state of denial of the whole and its unity. We see all of the colors but not the white light as we have created separation. Don’t fool yourself. This is not a bad thing. It is what has enabled process from which we can refine and expand ever more. You may thank the “Game Masters” who created the “Keepers of Time” for this amazing adventure you are awakening to. We can go into more detail in the part of the series where I will describe the layers of conscious expression of The Self we are remembering. 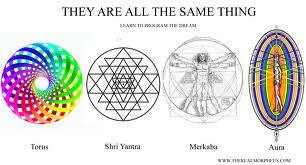 There are three geometrical components to accessing Zero Point Energy. The secret is to silence all (separate) parts, in order to reach the all-pervasive (unified) core that is everywhere. I will explain how to access and harmonize this geometric structure in more detail later, but first let us describe the energetic mechanism/structure we use to modulate consciousness/zero point energy. I call this mechanism a Zero Point Energy Modulator. All things use zero point energy modulation in this nested fractal and unified system of life. This Zero Point Modulator’s trinity of components are zero point energy itself, the resultant scalar waves which birth from it, and the electro-magnetic field which is moved by the scalar waves. The shape this trinity forms is essentially a toroid, or a doughnut. It is important to remember that the zero point energy itself is what all form is superimposed on, thus it is not at a specific location within the toroid. But it is detectable at the center of the doughnut/toroid. This is because all veils (electro-magnetic field) have been unified to a focal point where their harmonics neutralize them. This is what the doughnut or toroid shape does. Now this ‘hole in the doughnut’ is both a black hole and a white hole as it is simultaneously accepting and radiating energy from the zero point energy field as an intelligent feedback loop system (research Wilson Loops). These black-white holes exist in all sizes, from the ones creating photons to the ones in your atoms and at the center of blood cells (note their toroid shape) or the center of the universes and they are, in fact, at the very center, at every point. It is important to realize that zero point energy is not ‘dots’…it is the unified field as a whole, but it is accessed at these zero points/dots. It originally got its name because it was the energy detetcted when we reached as close to the temperature of absolute zero as possible. What does that mean exactly? It means that the vibrations/frequency/veils from heat (friction, resistance, separation) were stopped, and at this still-point there was a there was a prevailing life force/energy. It is the Source, the stasis from which movement/vibration is created, resistance-free instantaneous ‘flow.’ So, from this zero point we realize we are zero point energy, which can access infinite potential. It is a realization that all possibilities are, in truth, actualized already, right now. With each choice, you add or remove veils and thus appear to move through timelines/possibilities. Really you are the all, you are zero point energy and so you are not moving in actuality, but using your blinking vibration of awareness to appear to be moving. This is how moving pictures (movies) were invented: still pictures, flipped through light. If you can percieve it, it is already real. It is a matter of vectoring it to yourself with unwavering knowing and feeling, which is what the zero point energy modulation does. Once zero point is achieved you can the begin creating scalar waves from your zero point. Scalar waves, as a whole, are referred to as the torsion field. This field is akin to the reins of will, will power itself, the arms of zero point, of God. From the stillness of zero point, infinite will power is born; it is more than strength, it is the ability to create infinitely. Scalar waves have a corkscrew shape and emanate from the center of the torus/zero point energy modulator.light as we have created separation. Just to be sure the obvious is stated, the electro-magnetic field or spectrum (the third component of the modulation), which scalar waves bend, is from radio frequencies all the way to gamma rays and these are the various veils, gamma being the least distorted. Distortion is akin to slowing down and strained as if through filters, but it is flipped from physical reality in that we are not straining to get to purity as the whole-being, the Pure One, un-separated. Another aspect of Zero Point Energy Modulator I would like to point out is created when the system harmonizes, and that is the start tetrahedron or Mer-Ka-Ba/Na/Va. The ‘Ba/Na/Va’ are the 3 stages of harmony this geometric shape advances to as you further harmonize the modulation of unconditional love/zero point energy. 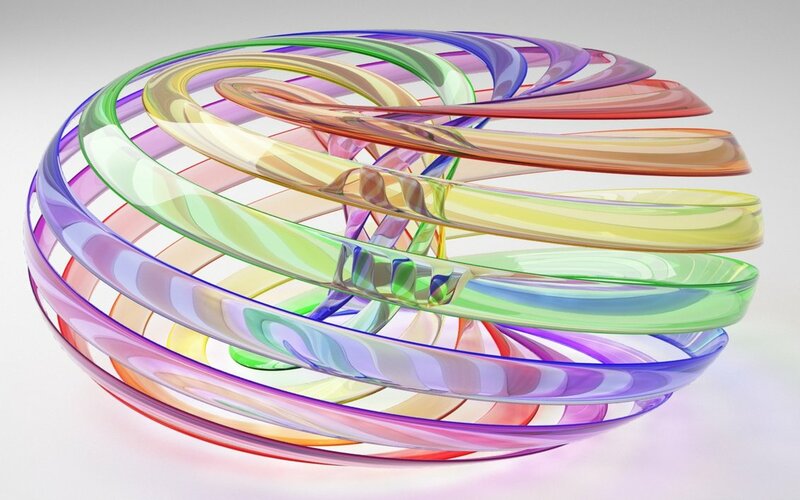 If you look at the torus as a moving energy which is both radiant and accepting, then you will realize there is energetic movement on the ‘outside’ of this doughnut, 2 vortices/cones to be exact, which meet at the zero point center. Each vortex is moving in the opposite direction and if you were to use straight lines to draw this you could get the two dimensional ‘X’ or cross (yes, like the cross of Jesus) or the three dimensional star tetrahedron within this configuration. In one perspective, the cross is the crossroads we must pass through as a refining, expanding experience, a challenge if you will, usually referred to as the dark night of the soul. It happens when the toroid hole is tiny and first opened, and also slightly less at each initiation (the point just before expansion). This experience raises you in dimensional perception, giving ‘birth’ to the star tetrahedron, which is the vehicle of the master, one who traverses time and space and, in effect, cancels them out, or proves them to be an illusion. The Mer-Ka-Ba is formed when the vertices or cones, of the zero point/torus, merge and are superimposed within each other instead of point-to-point, widening the zero point itself. You see, this is about more than lab tests in a ‘sterile’ environment. This is about You realizing all of life is the lab and you are the Great Architect, the Scientist, but not as an individuation who is separate from the whole…as an individuation who is both the whole (with all other parts equally expressed) and the whole within every part. (Study holography for a more in-depth grasp). It is about using your life in real time to prove this unity and unconditional love to yourself and become the most advanced, fully organic, intelligent, aware, conscious technology in the cosmos. You are told that the most advanced races have the highest technology, but that it is external technology or some cyborg fusion which leave out emotion. In truth, all is organic, as it is all sourced from Consciousness itself equally and each part in the process leads to a more refined and expanded whole does not leave out the harmonizing of consciousness/unconditional love. This means that as you harmonize, you realize that compassion is a driving force in the process, not imposed control. The imposed control is the shadow of the separation we created when we allowed ourselves to forget our unity. For example, in the veil of separation we see separate objects…like your computer, your desk, your body…but if you play with your focus (remember focus is awareness) you will see that these things are made out of a sea of photons. Yes, you can see photons. I have been seeing them since I was a child. Then if you look closer you can see that depth and shadow are nor actually real. They are simply a higher ratio of indigo-colored photons! This is very interesting and has a ton of meaning. You se the same frequency in the ultra-violet (indigo) spectrum that fosters cancer can also heal all ailments, including cancer. Therefore, the same energy creates the illusion of shadow can lift the illusion. Well, we have had all this talk about geometry and physics of zero point, but how do we ‘get there?’ The reality is that you are always there and it is about realizing it. 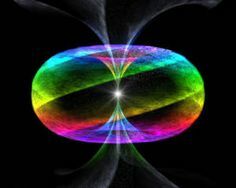 in order to realize zero point energy/unconditional love you must first silence the duality which separates and draws out/spreads the spectrum…your mind. This requires meditation. You see, in our daily life processes we tend to reverse the system, such that the mind is always ruling and limiting the infinite heart due to trauma, which furthers our amnesia. (I will be relating this to MK-Ultra further in the series). In order to re-align the system you must do a re-boot of the mind. This is both very difficult as well as very easy. The issue is most try, and it is not a trying, but a pure being that is the access point to this state, as well as realizing it is not something to get to but to relax and realize you are already there. You are unconditional love already! It is not something you have to attain; it is your very being right now. The best way to achieve awareness of your true being, by creating awareness of the zero point energy modulator within, is to do the Zero Point Meditation. Sit comfortably, close your eyes, and focus your breath. You may begin training your mind by internally saying ‘in,’ ‘out,’ as you breathe…which can eventually become the sound of your breath in your mind without words at all. If a thought flows in simply acknowledge it in peace (never become angry with yourself during this process). When you breathe in, condense it. When you breathe out release it. Also, acknowledge that any period/point of silence is valid and that you are merely expanding and refining the point. At a certain perfection of this point-of-silence you will begin to see a swirling plasma of multi-colored light in your closed eye. 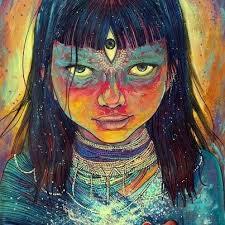 This is you seeing your Godhead, where you and God are one. You will be moved through this never-ending, amazing and beautiful spiral. Do not think about the experience, simply absorb it as a pure, non-judging observer. Do make note of anything that pops into your head but don’t dwell on it…breathe in and out. During this period of pure experience, you are re-aligning. At a certain point you will be called to ground yourself. This simply means bringing your awareness back to your body and mother earth. It works best to do this touching grass, rocks, trees, natural waters or soil. You may then open your eyes once you feel embodied again. Although you have opened your eyes, the meditation will now continue eternally and will advance as you re-calibrate with it regularly. You see in the Zero Point you uploaded from your core Infinity itself. From that point on, you know all, but it must unpack itself into various levels of expression we use, from knowing, to concepts, to thoughts, to words and then to actions. You will then have synchronizations which begin to confirm this new physics of all that you have awakened to. You will also be challenged to monitor your mind as any thoughts of separation will bring separation into your life much faster and will create much drama. From then on it will be your responsibility to re-calibrate (zero point meditation) such that in all you do you are radiating unity as unconditional love. Each though is a vote, each feeling is a stronger vote. The more you are in this unconditional loved, which knows that in all points of view there is a ratio of validity, the more you will have harmonic synchronizations, but the more you place denial and separation on yourself (thus birthing the term ‘others’) the more the synchronizations will be a ‘tearing down’ of the ego. Ego is not confidence; it is as though you are separate, and the idea of separation itself. Neither is wrong, for sometimes we require some demolition to build ourselves back up, but ultimately it is the building up we are most harmonic in and seek to expand. This is also why once we are accessing the zero point, we must allow it to flow freely from us, and be shared with all in all ways shown to you. Ceasing to share in all modalities is akin to creating stagnation and creating stagnation, or a condition, is not unconditional. There are also ‘physical’ (nothing is really solid, but condensed/focused light) zero point energy modulatoirs which can be hand-made. These physical, handmade, ZPEMs act as an even further amplifier for your process, as they are already naturally harmonic and they unify with you to achieve this amplification. Hand-made ZPEMs are very useful to those who help others to heal and know themselves. I will write on this technology in a later article, as well as create a video completely explaining and demonstrating how they are made and how I learned of this extra-dimensional technology from our military (Army, to be precise). This technology is best used by those who are experienced in Zero Point Energy Meditation as it is a tool for Masters and can be quite difficult to handle for those who are not 100% focused on unconditional love, unless used under the guidance of an experienced user. It is not a crutch, but a tool of personal refinement and expansion. It requires dedication, perseverance and responsibility. It is for those who are ready for constant initiations, and can handle them as they are ever connected to the stillness at their zero point center, their eye of the storm. Go experiment, you Creators of Life!